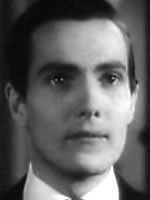 William Rukard Hurd Hatfield won fame for starring in The Picture of Dorian Gray, however felt the role hurt his popularity in Hollywood. 10/14/1976 0535 The Living Corpse Henry Girard Flower Peabody VI, a member of Philadelphia society by birth and breeding, has always felt there was an element inside him that did not fit his sober side. As a young man, he kept his crazy, fun-loving girlfriend, Megan, a secret from his other friends and his strict but ailing mother. But when Megan suggests that Henry end his mother's lingering life or else, Henry realizes he can no longer lead a double life and must kill one of them.